Thomson Reuters Company Information Is this your company? Add your own content to this page. We currently have 1 open jobs at Thomson Reuters. 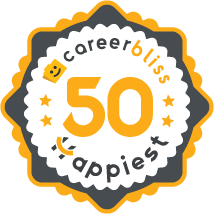 We've calculated that the average salary at Thomson Reuters is $71K based on 1,712 user-submitted salaries A total of 256 Thomson Reuters employees gave Thomson Reuters an average happiness rating of 3.9 out of 5.0. 57 Software Engineers from Thomson Reuters submitted salaries. 1. Get rid of the executive directors -- either by termination, or by promoting them to a place where they can do no harm. 2. Decide whether the business unit is a service provider (in which case get over the fact that TT&A paid too much for it and go ahead and develop the services wing by investing in people and cultivating an honestly professional atmosphere -- one focused on the client's actual tax needs, rather than on its next purchase, or create a real-life software firm that does not depend on its service segment to attract clients. 2.6 I would have said fire them all, but they have been. Currently there is an absence of good technology people in top posts. The company has no insight into technology development, yet this is a key driver for the success of the markets part of the company. Bloomberg is doing it much better. Also, I'd tell them to stop the reorg every quarter culture (this is still going on). They are substituting reorgs for the real work of managing the company. It's bad for morale and it's hard for people to trust the longevity of any initiative, so nobody feels like a real stakeholder in them. Instead, any sane employee is just looking out for himself in the short term. 3.4 Thomson Reuters is a great company. They're huge! But sometimes that "hugeness" can be a detraction. Sometimes it's easy to feel lost in the process and forget why you are making the products. It's also challenging working remotely as most of my team is in London. As a company and team grow, they become more process-driven and less results-oriented. Thomson Reuters has a rich and vibrant history in the information marketplace. What began as two different and distinct companies came together in 2008 to provide valuable news and analysis for a variety of business professionals. Looking into the history, the Thomson Corporation was formed in 1934 in Ontario, Canada and was a publisher of newspapers. Meanwhile, the Reuters Group has its origins dating back to 1851 in London. Reuters was responsible for transmitting the latest stock market quotations for investors. Thanks to the acquisition of Westlaw by Thomson in 1996, Thomson Reuters has a strong foothold in providing relevant information in both the legal and investment marketplace. With such a diverse and varied background, it comes as no surprise that Thomson Reuters careers run the gamut of professions. The ideal candidates will possess a strong interest in delivering up to date and intelligent information to customers in the hopes that will lead them toward improved decision making. Working at Thomson Reuters is a fast paced environment that allows individuals to make an impact upon their world. With a number of people relying upon reliable and factual information that Thomson Reuters publishes, employees have the ability to transform their actions. A career with Thomson Reuters allows working professionals to perform work that truly matters. The world is a dynamic and ever changing environment. With this in mind, the Thomson Reuters culture is geared toward helping people pursue their passions. A number of different challenges face the world today and the work performed on a daily basis at Thomson Reuters can help shape the future. Although there are a number of people working toward different objectives, the end result is the same: a single commitment toward creating a positive global environment. The values within the organization embrace the one world view and encourage everyone to embrace a one world citizenship. With job opportunities available worldwide, the Earth is available to discover for the interested individual. Employees are encouraged to aim for career goals that are both fulfilling and allow an opportunity to growth. In this regard, Thomson Reuters benefits are designed to support the efforts that employees put into their jobs. Taking care of personal needs is vital for superior job performance and gaining valuable skills allows more effective work to be accomplished. Working together to ensure a better future for the workforce and the world are key benefits of a Thomson Reuters career.